Emily Dickinson (1830-1886), "Tell all the truth but tell it slant", n.d.
You just gotta love that sofa--so this is what real gung ho couch potatoes do to kill time. Thank you, Tom, for staging so powerfully this opposition between two modes of 'telling it slant'. I always preferred the one that's veering towards life rather than death, personally. And for keeping faith with the other poetry of clear and direct witness (Beyond the Circus of Representation) when that's what's needed - no, essential. I just wish your essays could run in the mainstream media... These are masterful collages of irrefutable proofs, except to the hard hearted... who seem to be behind so much these days. You pray every day that the massacre will cease, and then you check out the news. Oh boy. DIME bombs contain tungsten, a cancer-causing metal that helps to produce incredibly destructive blasts which slice through flesh and bone, often severing the lower limbs of people within the blast radius. Renowned Norwegian doctor Mads Gilbert, who witnessed the horrific injuries caused by DIME bombs during Israel’s 2009 Gaza onslaught, said over the phone from al-Shifa hospital in Gaza City that patients are showing up with DIME-related injuries. Gilbert first witnessed the effects of DIME munitions on the human body during Operation Summer Rains, Israel’s 2006 months-long attack on the Gaza Strip that killed more than four hundred Palestinians. “Large chunks of flesh, of muscles were cut away. We didn’t find any shrapnel and [the wounds] were delivering a strange fume. Gradually we came to understand these must have been the new DIME weapons developed by the US Air Force together with the Israelis,” he said. Nadine Gordimer was on to something. The idea that art might separate itself from the world is dishonest. And yet, when I try and note down my response to what's happening, the pen's fat and sluggish in my hand. Came home and heard about the murder on the beach and found myself laughing incredulously. They had some Israeli government type on. Apparently, it's Hamas that's responsible. The interviewer seemed happy to let this stand. There's plenty of people making money from these deaths round these parts. Thanks very much, Nin and Duncan. It's hard to write about these things. It's hard to witness these things. It's hard to remain silent about these things we're witnessing. children. Any of you have a realistic plan for peace??? Tom, Thank you for the connections you make between art and reality: Emily Dickinson, Nadine Gordimer, the hyper-reality we are all witnessing in Gaza. For me, your posts have been the most direct line to the horrific reality that is "playing" out there. Perhaps the only direct line is a slant one? Many thanks. These posts were not the result of any plan. But it's hard to see the value in turning away from a matter which is of importance not only to those involved in the region, but to every person of conscience. There are deep divisions in the world at large. The mainstream media as puppets of governments which are themselves the puppets of massive lobbies, exacerbate the problem with the pathetic charade of "covering" asymmetric warfare as though it were the invention of its victims. The life and actions of Nadine Gordimer, a dedicated opponent of Apartheid, might be contemplated as a template for just action and thought in the midst of a difficult, conflicted situation. You're a doctor. Your heroes bomb hospitals and drinking water facilities, kill children wantonly with the latest in high end weaponry and then blame it on the people whose blood is still wet on the killers' hands. You don't seem to see human beings, it seems you see the ethnically unclean subject populations of imprisoned victims, whose lands and histories and memories this occupying force have taken away, exactly as their captors see them -- obstacles in the way of an expansionist vision which never included them in the first place. They were meant to be "quiet", and when they are not "quiet", unimaginable havoc must be wreaked upon them . "For it is written..." Your comment about the photo op is beyond cynical. The most realistic plan for peace would begin with the Zionists treating the Palestinians as equals, i.e. human beings with the rights and entitlements of other human beings. had a lot of good ideas. 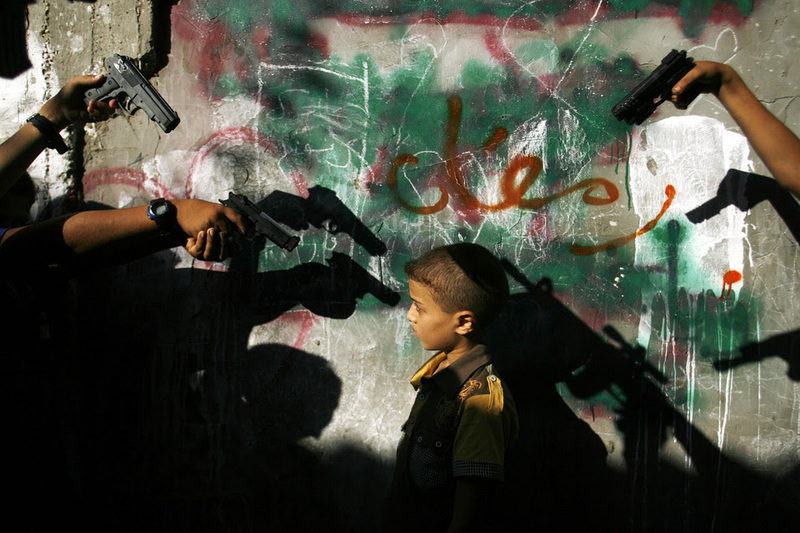 Gaza where in fact "the means become the end"
Jihad there will only be war. Either those mainstream "news sources" from which it seems you derive the pretexts for your political analyses are letting you down, or your chronic deficit in the nous department has caused you to miss the nuance in human relations that indicates it might be wiser to let people pick their own leaders and mediators, rather than having them picked by Avigdor Lieberman and the rest of the far out wing-nut loonies who are besmirching the good name of Jews everywhere by acting like arrogant killers on a free pass. Your Tony Blair scheme has been around the block and adjudged insulting by many people around the world. "But this cease-fire agreement was actually written by the war-criminal and Zionist Tony Blair. No Palestinian had even seen it or was involved in its creation. They learned of the 'agreement' through the media. It included nothing but a stop of fighting and some vague promise of further talks. For what then did so many people die?" But nominating Blair looks like the perfect fat cat armchair plan to you, so why even think about it, much less think about what people who actually know something think about it. Of course Blair's role in egging-on the Iraq tragedy ought to qualify him wonderfully. But I suppose you're aware of that, given the quality time you've put in at the Casa Blanca. Two of the more relevant pieces on the present conflict and its historical background were articles by respected historians whose field of expertise this is, and who will never be accused of being Palestinians. The most thorough and informative was the piece by Ilan Pappe of the University of Exeter. Also of interest to the fair minded, I gather, was the historical overview by Ilan Pappe's teacher, Avi Shlaim, emeritus professor of international relations at Oxford. I'd repost those for you, but you've shown me my time would be wasted. a motorcycle without a helmet. themselves as in the Holocaust? out of your neighbor's eye. think the outcome of deligitimizing Israel will be? Peace or all out war? We get your point. Self-defense by massive overkill. But those "moderates" in Israeli who understand what's happening see that this is not a defensive but a long-term offensive strategy. The comments are ingenuous but certainly not profound-- " Any of you have a realistic plan for peace???" "Peace or all out war?" One is spoilt for choices, trapped in the immense gallery of horror and blood-- Ukraine, Syria, Iraq, Palestine . . . and this does make one feel helpless. But yr notions of a hush-hush peace, the supreme ideal of the Western models of democracy, make me feel nauseous, to be honest. For example, the ceasefire brokered by Blair, even though apparently "bloodless", is equally, if not more violent than the Israeli offensive, and other massacres, be they Jihadi in origin, or not. I don't quite understand why you'd not only condone Israel's irrefutable monstrosities, but even supplement the gallery with other violent stand-ins. 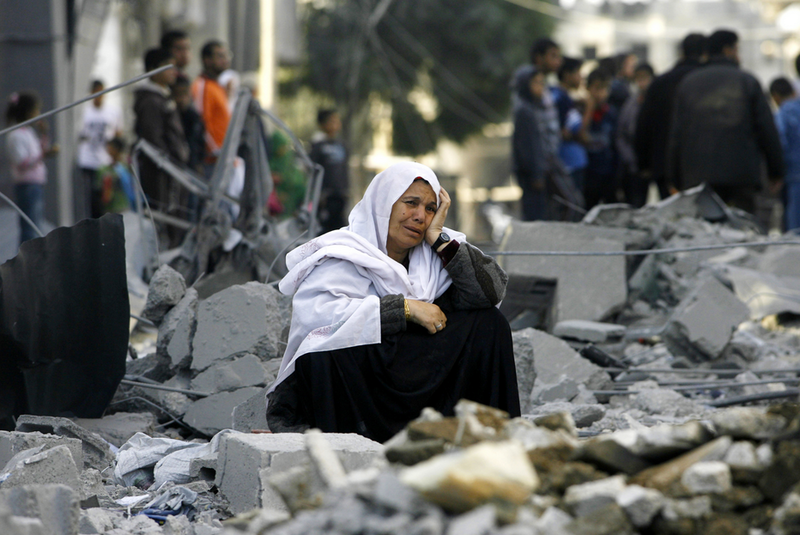 "Gaza is one among many in the planet of slums. The distinction between Gaza and the favela is that the favela’s disorder is confronted by policing violence which manages the areas slowly overrun by gentrification. 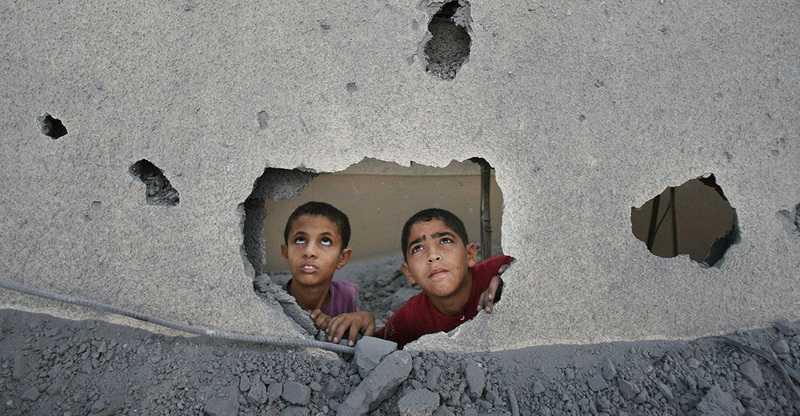 Gaza is not similarly managed; its goal is not to order the disorderly but to erase it." It is generous of you to regard that comment as ingenuous. Personally I took it as contemptuous, patronising, cynical, insulting, and dumb. And particularly the lumping together of unlikes in "any of you". But we're not being graced with quite as much of that, at least from that particular source, at least this week. Excellent article on Gaza in your link, Aditya. To know that there are people in the world who are coming to this issue, which surely concerns everyone, via thought rather than emotion, observation rather than predisposition, is encouraging.